Compost is a valuable soil amendment. It contains the macronutrients (N-P-K) found in fertilizers, but more importantly, it contains needed micronutrients and microbiology. 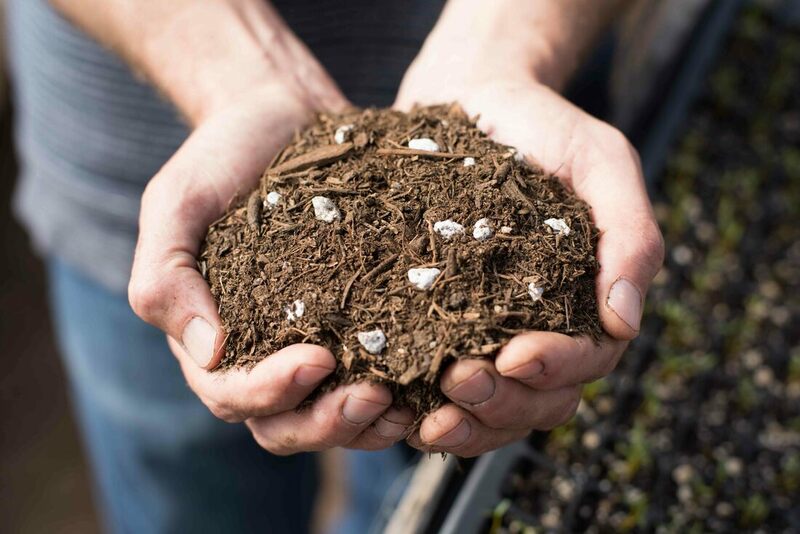 Our Premium Compost plays a key role in creating healthy soil. Screened to ⅜”, it can easily be worked into existing soil or used as a top dressing. It is ideal to incorporate three weeks or more before planting, but can also be used over the course of the growing season. 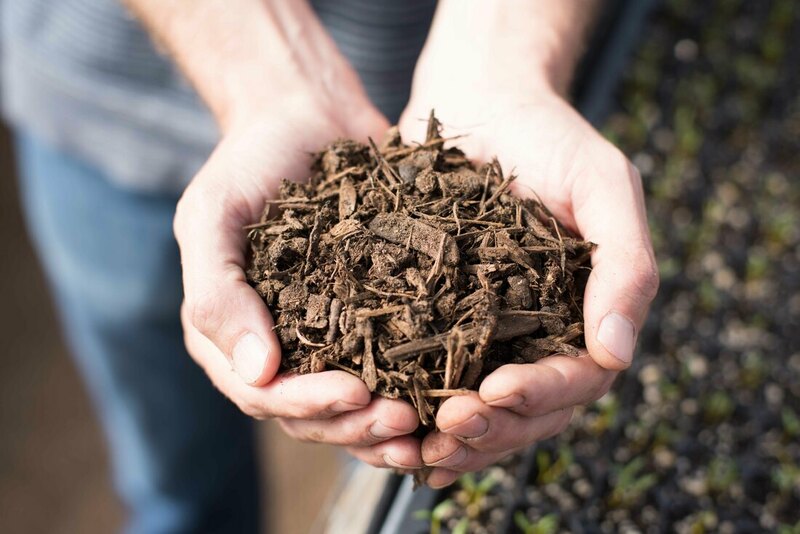 Composted mulch differs from other mulches because it has gone through a hot composting process and as a result if free of weed seeds. Our composted mulch is screened to ¾”; containing mostly woody mulch but also some finer Premium Compost. Mulch enhances erosion control and has the potential to increase the variety and numbers of beneficial fungus. Plants supply sugars to fungus and in turn fungus supply plants with water and nutrients. Can be used as a top dressing or mixed into the soil. This Garden Blend contains our Premium Compost, native soil and pumice. This blend is ready for direct seeding or transplanting. Designed for large containers, raised beds and areas where a healthy soil base is needed. This is not a potting mix; however, by blending a material such as coconut coir you can create your own tailored potting mix. Worm Compost is a valuable soil amendment. As our Premium Compost is passing through the body of the worms, it is enriched with beneficial bacteria and other microbes. Worm castings have increased capacity for water retention and contain higher percentages of both macro and micronutrients. Application rates: Mix up to 20% worm compost into existing soil before planting. As a top dressing gently mix 2-4 tbsp around the base of each plant. *Note: because we are composting green waste and food scraps, it is inevitable that some plastic that finds its way in. While we do our best to minimize this at the source, you may find micro bits (i.e. produce stickers & straws) that make their way through a ¾” screening process. Use this handy calculator to determine how much compost you should buy. Lawns typically need a 1/4" to 1/2" thick layer of compost. Vegetable and flower gardens need a 1" to 3" thick layer of compost. Composting combats climate change on three critical fronts. First, by removing food waste from landfills, we reduce our trash volume by about 40% which extends landfill life and reduces heavy machinery required to handle material. Secondly, food waste in landfills is also a high producer of noxious, planet-warming methane gas. In fact, if “Foodwasteinlandfills” was a country of its own, it would be the THIRD LARGEST carbon producer, behind only the US and China. Dirty! Finally, when the finished compost is spread and seeds are planted, the ability for that area to sequester carbon from the atmosphere (where there’s too much) down into the soil (where we need it) is activated, thus offering the potential to reverse climate change. Compost can be used in multiple ways to provide optimal health and resilience to your plants. 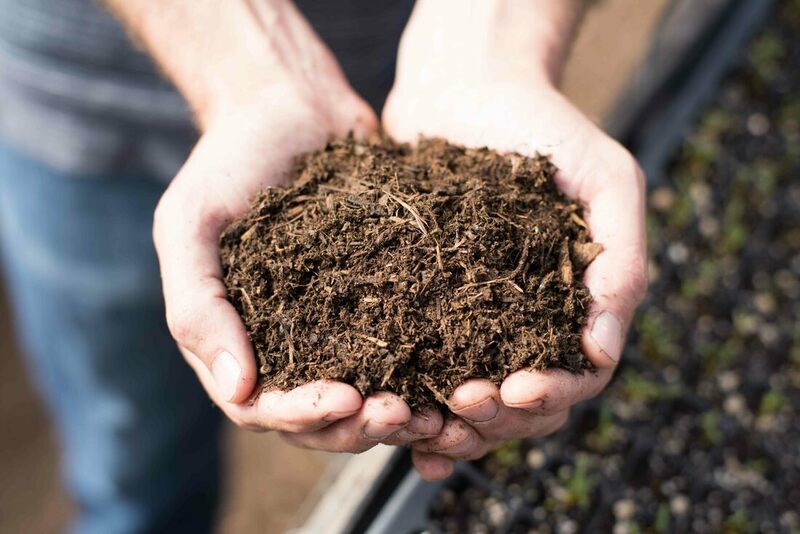 Using compost increases soil organic matter, adds mineral content, improves soil structure and porosity, and increases drought resilience of plants. Spring or fall, pre-planting or post harvest, amend your existing ‘soil’ to 50-70% compost. (This is the recommendation for NM, where sand/clay is the prevalent soil. In an area of richer natural soil like the Midwest, a lower percentage may be recommended.) Add 4-6 inches of compost on top before tilling, and then add another layer, again, on top to create rows and furrows for a traditional rowed field. ​Greatest benefit achieved with application three weeks or more prior to seeding or planting. Great benefit can still be derived with application over the growing season. ​For a lawn, pasture or cover cropped field, top dressing is the most efficient application. Just as it sounds, you spread the compost on top of the existing grasses, etc. 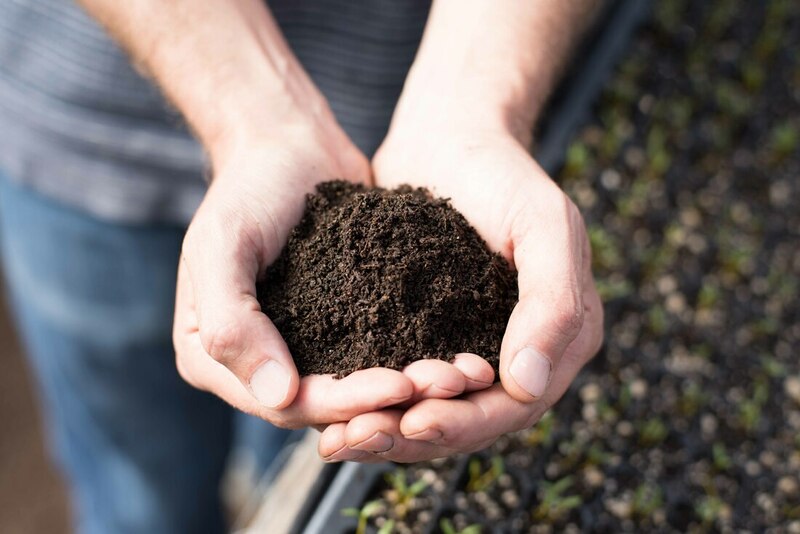 For effective top dressing, your finished compost should be screened to particle sizes of 3/8-inch or less, free from weed seeds, spread when grasses are actively growing, and the layer of compost about ½ inch thick. If you do core aeration of your lawn, spreading afterward is recommended. Water well upon application and watch your plants plump up! Use as a beautiful mulch, 2-6 inches deep. This stops weeds, saves water and nourishes your plants gradually with each rain or watering. Over time, the compost will work its way in and improve soil structure and health without any heavy turning or tilling. Deep mulching with compost is optimal for home gardeners, as well as no-till farmers. Healthy, living compost is the main ingredient in potting soil blends. For DIYers, a standard recipe for homemade potting mix is: 2 parts compost, 1 part ‘fluff’ to lighten the mix for additional porosity (we recommend something renewable/sustainable such as coconut coir, rather than peat moss from endangered bogs) and 1 part ‘chunks’ to increase drainage required by container gardening, such as pumice, perlite or sifted sand/gravel.